Guests who book from December 2, 2017 to January 7, 2018 can experience a festive treat on room accommodations. Valid for stays between December 15, 2017 to January 7, 2018, guests can enjoy 10% savings on their booking with rates starting at Php 8,550 per night for a Deluxe Room. The offer includes buffet breakfast for two at High Street Cafe, use of the gym at Kerry Sports Manila and the outdoor swimming pools, and complimentary wired and wireless internet access. Families can spend time together in a Shangri-La Serviced Residence while hanging out with Boni the Bull when they avail of the Stay and Play package. Families who book a one- or two- bedroom residence can enjoy buffet breakfast at High Street Cafe for two adults and two children 11 years old and below, all-day access to Adventure Zone for up to two children and use of the gym at Kerry Sports Manila and the outdoor swimming pools. This offer also includes an in-room camping set-up with a tent, bean bags and sleeping bags, a variety of amenities including welcome treats, Adventure Zone apparel, Boni the Bull backpack and children’s bathroom items. Rates start from Php 15,000 or Php 19,500 for a one- or two-bedroom Residence respectively. For guests who wish to stay in for the New Year’s Eve Countdown, accommodations in a Deluxe Room start from Php 15,000 for stays passing through December 31, 2017. All room rates are quoted in Philippine pesos, subject to service charge and prevailing local government taxes. Advanced bookings are highly encouraged. For room reservations and further information, please call (63 2) 820 0888, email reservations.slfm@shangri-la.com or visit http://bit.ly/shangrilafortroomoffers. package. 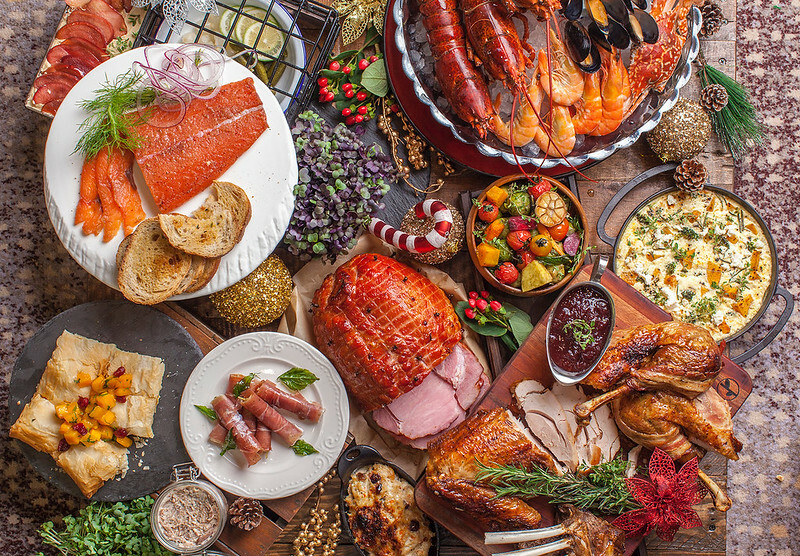 Christmas Eve and Christmas Day dinner buffet is at Php 3,800 nett, inclusive of an alcoholic beverage package. A unique Noche Buena spread is also available at Php 2,200 nett from 11:00PM to 2:30AM on December 24. In High Street Lounge, guests can enjoy a Christmas themed Afternoon Tea set created by Executive Pastry Chef Anthony Collar. The tea set is available from November 29 to December 26 for Php 1,500 inclusive of coffee or tea. Starting December 24, guests can dine in Canton Road and experience Chinese Executive Chef Wang Wei Qing’s Holiday lunch and dinner set menus starting from Php 2,988 per person. Guests can also avail of the Festive Dim Sum set lunch at Php 1,888 per person on Christmas Day, from 11:30AM to 2:30PM. Regular and a la carte menus are still available for ordering. For a more intimate setting, guests can celebrate in one of the nine private dining rooms of the restaurant. Chef De Cuisine Nathan Griffin showcases Raging Bull Chophouse & Bar’s premium Australian grain and grass-fed dry-aged beef, fresh seafood selections and premium grilled items straight from the Josper Grill. 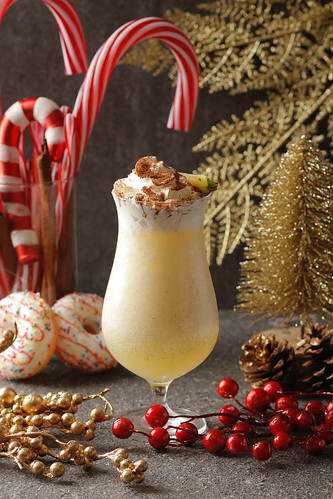 Guests can avail of the Christmas brunch set for Php 3,500 nett per person, inclusive of a live seafood station while set dinner courses are available for Christmas Eve and Christmas Day, at Php 4,500 per person inclusive of a glass of bubbly. Peruvian Chef Carlo Huerta invites guests to dine family-style with a selection of fresh and flavorful dishes from Samba. Guests can avail of the holiday lunch feast for Php 1,900 per person on December 25, 2017 and January 1, 2017; the Holiday dinner feast for Php 2,900 per person on December 24 and 25 2017; and Php 3,350 per person on December 31, 2017. Guests can welcome in the New Year by the poolside with a cabana dinner for Php 6,000 per person. The cabana dinner package includes a 6-course menu and a bottle of Veuve Clicquot champagne for a minimum of two persons. For guests who opt to stay in the rooms, there are Filipino sharing platters available from December 22, 2017 to January 1, 2018 for order through in-room dining. A selection of savories and sweets are also available for purchase, from honey roasted boneless ham to roasted turkey with traditional siding, beef chuletón, fruit cake, stollen bread, homemade Glühwein, chocolate truffles, pralines, gingerbread houses, assorted winter jams, cookies, and hampers. 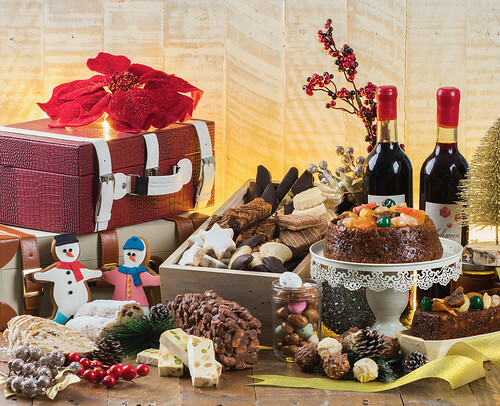 For restaurant reservations and information, as well as orders for Christmas hampers, savories and pastries, please call (63 2) 820 0888, email slfm@shangri-la.com, or visit the Festive Counter in the hotel lobby at Level 2, facing the entrance of High Street Cafe. You may also refer to our dining offers here: http://bit.ly/shangrilafortdining. From December 4, 2017 to January 1, 2018, guests can spread the holiday cheer by purchasing and decorating gingerbread cookies from the Gingerbread Cookie counter located in the hotel lobby at Level 2. The gingerbread cookies are available for Php 400 nett per cookie with all proceeds to be donated to the rebuilding of the Minipark Daycare Center. At Kerry Sports Manila and Adventure Zone, the gift of fitness and play comes in two. Guests who sign up for an annual individual membership at Kerry Sports Manila can enjoy Php 46,000 savings on a second membership for a friend or family member for total membership cost of Php 146,000 for two people. At Adventure Zone, when a guest signs up their child for an annual membership, they can get Php 5,000 savings on a second membership when they sign up a second child. Both members must sign up at the same time to avail of this offer. This offer is valid until January 7, 2018. For reservations and membership inquiries, please call (63 2) 820 0888, email kerrysportsmanila@shangri-la.com or drop by the club reception area, located on Level 6 of the hotel. 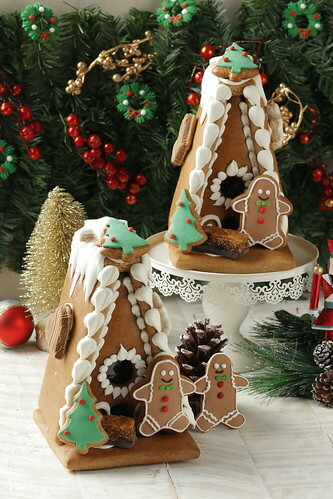  Christmas Cookie Stack Making Workshop on December 1, 15, 22 and 29, 2017 from 4:00PM to 5:00PM. Inclusions are an Adventure Zone chef’s kit, materials for cookie decorating & take out box.  Color Your Christmas: T-Shirt Coloring Workshop on December 22, 2017 from 5:00PM to 6:00PM. Inclusions are one (1) t-shirt & t-shirt coloring kit.  Festive Movie Night: A Pajama Party on December 29, 2017 from 7:00PM to 9:00PM. Inclusions are festive movie viewing, two (2) buckets of popcorn and free-flowing iced tea. Each activity costs Php 1,000 nett per child with one (1) adult plus 5-hours access to Adventure Zone. Extra adults are subject to additional charges. Guests can toast to the New Year with an extensive array of choices. At High Street Cafe, a New Year’s Eve dinner buffet is available for Php 4,500 nett per person, inclusive of an alcoholic beverage package. A New Year’s Day lunch buffet is available for Php 3,200 nett, inclusive of a non-alcoholic beverage package. High Street Lounge offers New Year themed tea sets for two at Php 1,500 from December 27 to January 1, every 2 pm to 6 pm daily. The New Year’s Eve countdown party at the lounge will feature a special buffet spread of artisan cheeses, premium charcuterie, hot appetizers and a carving station. To cap off the night, a free flow of alcoholic and non-alcoholic beverage is available for guests to enjoy while the Brat Pack serenades everyone with contemporary jazz all throughout the night. This is priced at Php 4,500 nett per person, from 9PM to 12:30AM. Table reservations are highly encouraged. At Canton Road, guests can enjoy holiday set menus starting at Php 2,988 nett per person and a Festive Dim Sum set lunch at Php 1,888 nett. At Raging Bull Chophouse & Bar, a four-course New Year’s Eve dinner set is available for Php 5,000 nett per person. Samba will be showcasing Peruvian seasonal specialties in a five-course dinner set menu available at Php 3,350 nett per person, inclusive of a welcome drink. For a more unique experience, dine in a cabana under the stars with a 6-course set menu with a complimentary bottle of Veuve Clicquot champagne. This experience is priced at Php 6,000 nett per person for a minimum of 2 persons from 6PM to 10:30PM. For more information about Shangri-La at the Fort’s festive offerings, menu prices, Mass and entertainment schedules, please access the e-brochure at http://bit.ly/SLFMHoliday2017. Hong Kong-based Shangri-La Hotels and Resorts currently operates over 95 hotels with a room inventory of over 40,000. Shangri-La hotels are five-star deluxe properties featuring extensive luxury facilities and services. Shangri-La hotels are located in Australia, Canada, mainland China, Fiji, France, Hong Kong, India, Indonesia, Japan, Malaysia, Maldives, Mauritius, Mongolia, Myanmar, Philippines, Qatar, Singapore, Sri Lanka, Sultanate of Oman, Taiwan, Thailand, Turkey, the United Arab Emirates and the United Kingdom. The group has a substantial development pipeline with upcoming projects in Australia, mainland China, Cambodia, Indonesia, Malaysia, Saudi Arabia and Sri Lanka. For more information, please visit http://www.shangri-la.com. – Posted by The Foodie Station for Shangri-La at the Fort. Photos and write-up provided by Shangri-La.